Properties in Aulon Ski Lift average 4.5 out of 5 stars. 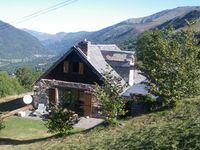 Nice cottage in downtown St Lary, 2/14 persons. 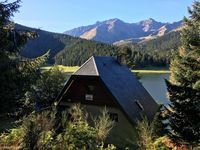 Property 7: Nice cottage in downtown St Lary, 2/14 persons. Wooden cottage in the heart of the Pyrenees in an exceptional site. Property 13: Wooden cottage in the heart of the Pyrenees in an exceptional site. A Cauterets cute little cottage. .
Property 24: A Cauterets cute little cottage. . The Grangerie; Family Chalet In The Station De Ski De Bourg D'oueil. Property 26: The Grangerie; Family Chalet In The Station De Ski De Bourg D'oueil. Chalet in Esterre / Luz Saint Sauveur, overlooking the valley, not overlooked. Property 42: Chalet in Esterre / Luz Saint Sauveur, overlooking the valley, not overlooked. Nous venons chaque ann&eacute;e et comme d'habitude le s&eacute;jour &eacute;t&eacute; parfait ! Le chalet est moderne , bien &eacute;quip&eacute; et id&eacute;alement situ&eacute; face au lac! Un grand merci !! !